Rochester, NY (December 16, 2018) –Monroe deputies responded to a fatal car accident that happened in the area of Empire Boulevard in Penfield. One person was trapped in the vehicle. Deputies say that an elderly passenger in one of the involved vehicles was trapped in their vehicle. Police had to remove the passenger but they were, unfortunately, pronounced dead. Deputies determined that a Camry had been in the eastbound middle lane on Empire Boulevard trying to turn left in front of an Avalanche. The Avalanche struck the passenger side of the Camry. The driver of the Camry was taken to the hospital for injuries and the driver in the Avalanche was not injured. The investigation continues at this time and no charges have yet been filed. 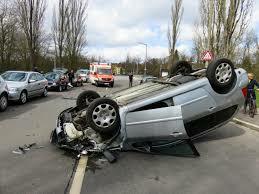 Thousands of people will lose their lives in New York accidents every year. If you have lost somebody close to you in a serious New York accident, we would like to take a moment to extend our condolences to you at this time. You have many rights in the midst of your case. Our dedicated New York wrongful death attorneys at Hach & Rose have completely dedicated our lives to helping those who have fallen victim to careless drivers. We are here for you 24/7. As members of the community, we are fully devoted to helping innocent victims recover compensation for their losses when they are involved in a serious accident. We want to stand by your side when nobody else has during these difficult moments. Contact us for more information at 212-779-0057.